Autumn is an a-maze-ing time in the Big Sky State—for those up to the challenge, anyway. Clever landowners cut new designs into massive fields of tall corn and then dream up other ways to entertain visitors. Meanwhile, maze-goers can spend hours trying to solve the mystery of the grain labyrinths into which they’ve wandered. 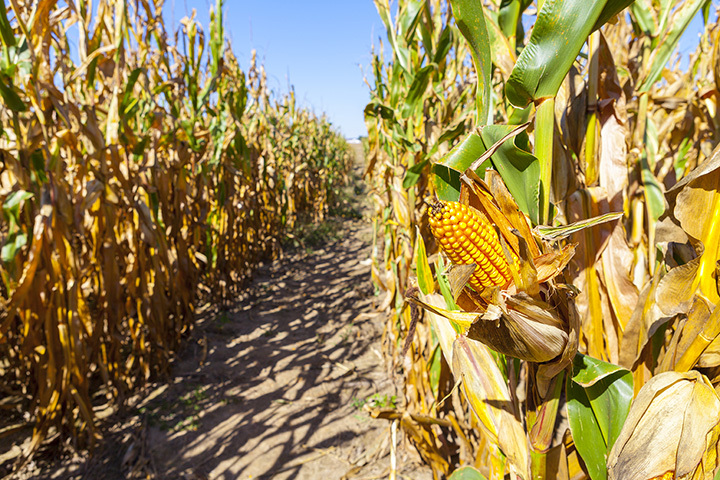 These are our favorite corn mazes in Montana. Montana Corn Maze in Manhattan—not far from Bozeman—offers much more than a challenging corn maze. Besides the twists and turns in the corn, visitors will enjoy food, farm animals, a farm market, pony rides, a barrel train for kids and even an adult tricycle track through the corn. Oh, and you’ll also get sweeping views of the Gallatin Valley. The Maize (get it, corn maze?) at Grandpa’s Farm is much more than a massive maze made from maize—it’s agri-tainment writ large. There’s a kids’ activity area, “Apocalyptic” paintball, a cow train and several other activities for all ages, ranging from Farmin’ Ball to Speleo Cave (a crawling maze/spelunking simulator). MissoulaMaze is exactly what you’d expect from the name: A giant corn maze near Missoula. But wait there’s more! MissoulaMaze also offers a mini maze, an obstacle course, a petting zoo, many games and a regular treasure hunt. Visit the maze at night for an extra challenge! Every fall, the folks at Applestem Corn Maze and Pumpkin Patch construct a newly-designed, complex maze into 20 acres of six-foot tall corn. You could literally spend hours inside the maze before making your way out again! In addition to the maze, itself, Applestem also host several special events and activities throughout the fall season. After taking the reins from another local corn maze and pumpkin patch whose owner retired, T&C Farms cut its first maze this year. Along with the corn maze, you’ll find plenty of other fall fun activities like the aforementioned you-pick pumpkin patch, a barrel train and hayrides. Each year, the folks at Fritz Corn Maze, between Kalispell and Columbia Falls, carve a new maze design into a field of head-height (or taller) corn. In addition to getting lost in the maze, you can participate in a scavenger hunt, speed down the culvert slides or participant in other family fun like a cow train, a straw bale maze or games like beanbag toss. Although, it’s not exactly a maze—in the daylight hours, you won’t have too much trouble finding your way out—Field of Screams is a haunted attraction carved out of a corn field just outside of Victor. At night, the twists and turns, goblins and ghouls, and haints and haunts, will make you dread every turn you make among the corn. View more Montana Corn Mazes.